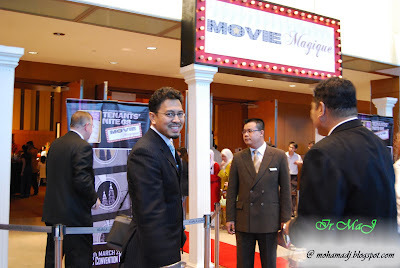 This year our fellow colleague in Twin Tower has invited me to attend the Tenant's Night and the theme this year is Movie Magique. This year the guest singer is Adibah Noor.. Hmm ape nak pakai baju so pakai suit biase je la... The food was good and the show was OK.
Leh kEr syer dgn KaKi REanNG ker...?